This is the first view one gets of the Grinnell Glacier and Upper Grinnell Lake from the Grinnell Glacier Trail. 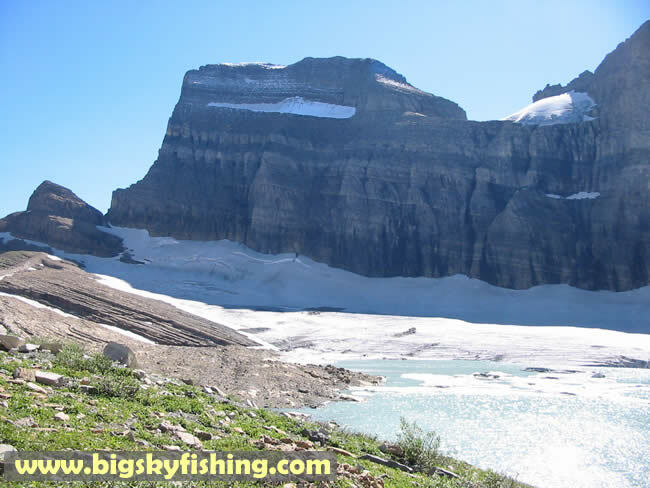 While the Grinnell Glacier is rapidly melting, it is still one of the largest glaciers in the park. Gem Glacier, the "box like" patch of snow to the right and above the Grinnell Glacier, is also visible.